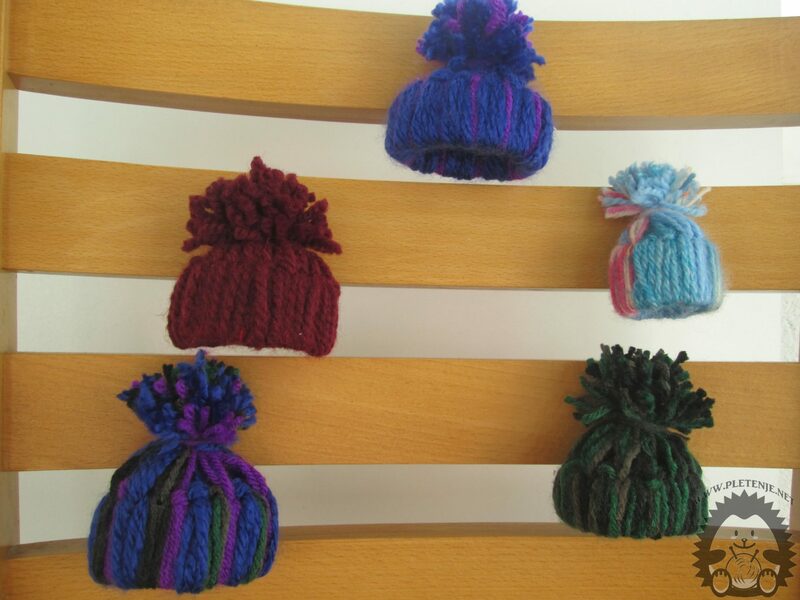 These woolen caps were neither knitted nor heklane, but we could not resist them. They are still made of wool. 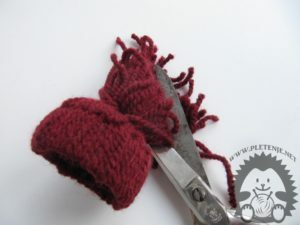 And we know that every knitter has the remnants of previous works he always thinks he will need. Here are great opportunities to use them. They are so easy to make that they can work even the least. Your little ones will enjoy working together. This is a project for the whole family. Decorate your tree with them. You can only work in one color and can be colorful. 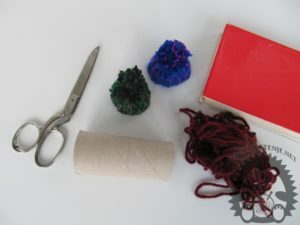 The required material for making is the following: a cardboard roll of paper towels, scissors, wool (which is thicker if you can choose) and one book (a book is not required). 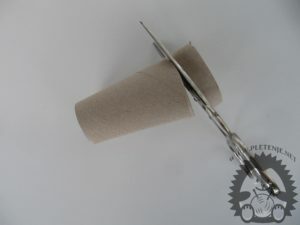 First cut off the cardboard roller (use a roller shutter for smaller wool caps, the rings will be smaller and more firm) to get a ring thickness of about a centimeter to two. 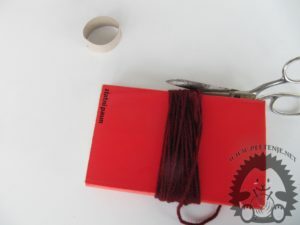 After that you need to wrap the wool around the book (you can cut them evenly in the same length without wrapping around the book, but this is faster for you). You need a lot of stuff because you'll put the entire ring on them. 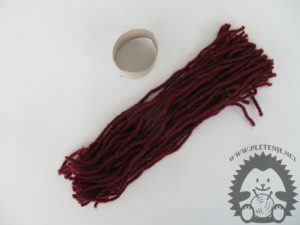 After winding enough threads on one edge, cut the thread and get the straps you need to continue working. Take two threads, you can have one, but no more than two. Tighten them and pull them through the ring. Thread threads or thread through the folded part of the thread as you do decorative trimmings at the edge of the joke. You do not even need to attach around the center of the ring. Repeat the ring procedure until the entire ring is covered. 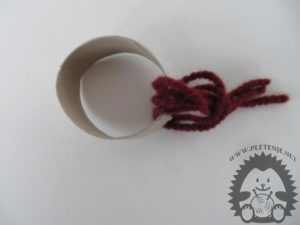 Attach any free limbs and attach them over a cardboard ring to one free thread. 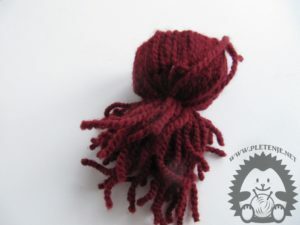 You formed a wool cap. 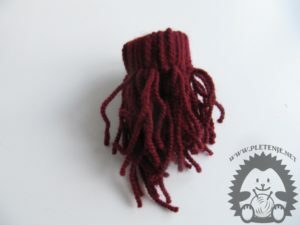 It is still necessary to make the top of the caps a nice shaping to get on top pom pom. Make a multitude of different colored caps, you can combine colors on one cap and decorate your home with them. You will have a real winter atmosphere.